When you’re over 50, the stress of both selling your home and trying to buy your next home at almost the same time can be overwhelming. Some people deal with it better than others. 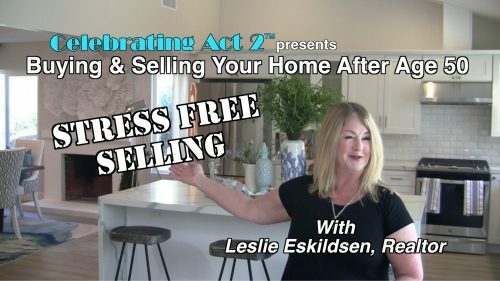 Well-known Southern California realtor, Leslie Eskildsen was asked by Celebrating Act 2 to share her advice for reducing the stress in this situation.